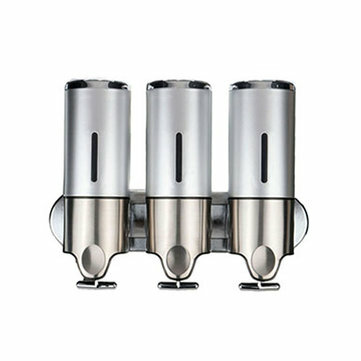 This soap dispenser set has 3 dispenser which can greatly meets your needs.It is made of stainless steel which has characteristics of strong load-bearing, high temperature resistance, corrosion resistant, orrosion resistant, thick base, difficult deformation. It is a good tool to save soap liquid. Please install the soap dispenser with screws. Please install the soap dispenser tight and avoid slipping.